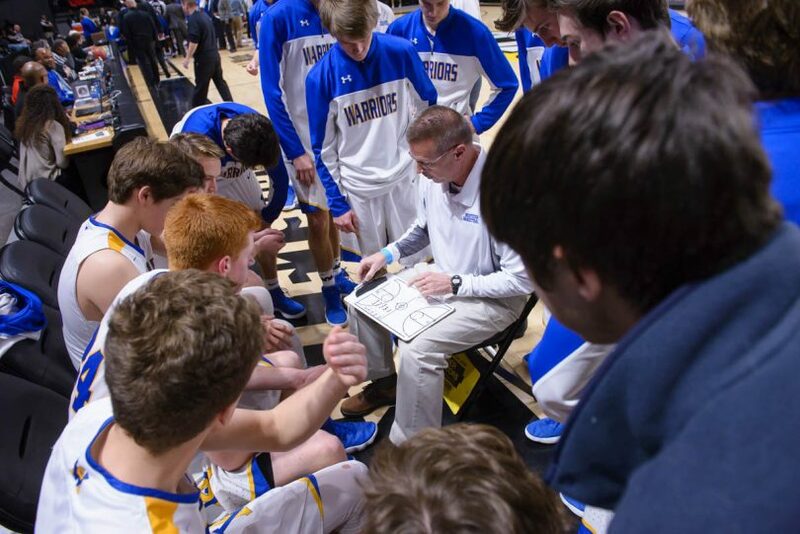 Western Albemarle’s Darren Maynard knows the kind of longevity and commitment to the game you have to make if you want to start counting victories by the hundreds. He’s know the math for a long time. Maynard hasn’t caught Hatcher — and with 897 all-time wins at R.E. 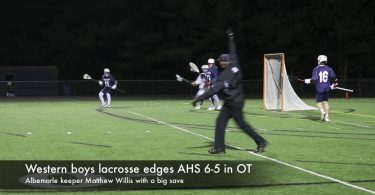 Lee it’s not clear anyone ever will — but Wednesday night he won his 400th game at Western Albemarle. 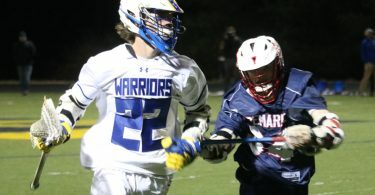 The Warriors got Maynard to 400 with a 71-42 win over Powhatan, cruising past the Indians with Riley Prichard leading the way with 16 points and five assists while Tommy Mangrum scored 15 points and grabbed six rebounds as he made his return to the lineup after being out with an injury the last couple of weeks. Eli Yordy rounded out the bulk of the offensive effort with 12 points. The milestone victory for Maynard comes in a year that actually typifies his run at Western. The Warriors have an established entity in Mangrum at forward, and the Warriors haven’t hurt for having at least one standout in the lineup over the years from Billy Baber to Andy Pierce to Christian Pierce to Dante Crawford to Ryan Ingram. But Maynard’s success has come in how he gets the rest of the roster to buy into their roles, to play his system and style year in and year out no matter how much change the roster undergoes. Over 23 years, Maynard found players willing to take that kind of ownership and compete even when they’ve been athletically outmatched, which has to be the hallmark of a program that is as competitive as Western has been over an extended period of time. It helped Western make the run to the Class 3 title game last year, a first in program history and the state tournament appearance the year before that was another program first. It’s also helped Western win nine district titles in that span in a district where Charlottesville and Fluvanna County in addition to newer kid on the block Albemarle have their own storied basketball traditions. Winning 400 continues to cement Maynard’s place among the Central Virginia area’s most accomplished, with a veteran he did battle with night in and night out still the all-time area leader with 525 in Fluvanna’s Munro Rateau and Albemarle’s Greg Maynard at 493 wns currently. “I don’t usually count wins and think a whole lot about myself doing this but I knew that one was coming up and it was something I wanted to get,” Maynard said. He’s there now. And he’s doing it in typical fashion, retooling a year after another successful season and finding the right formula, the right mix with a squad that’s getting better and more dangerous as the year goes on.